The new school term which began this month, is usually considered as the school sports season where focus is on sports activities including sports meets, matches, marathons and other outdoor physical activities. Promoting fitness among schoolchildren through sports has received high priority in the Health and Education Ministries. However, the rise in injuries from sports has raised concerns with some over anxious parents even forbidding their children to engage in sports. Many parents consult experts to find out what games cause the most injuries and how they can be detected, prevented and treated with minimal invasive methods that could harm their children later. Chartered Physiotherapist Dr Gopi Kitnasamy fields some of these questions with his hands on experience with young victims of sports injuries. Q. With the Education Ministry and Health Ministry now focusing attention on school outdoor sports what do you see as the most important benefits for children ? A. Adequate outdoor activity improves health and physical development by enhancing sensory development, reducing obesity and stimulating the blood cells. It helps children stay fit and active which benefits them in the long run. They can ward off problems like obesity and heart ailments later in life. Participation in sports activities improves physical fitness, coordination, and self-discipline, and gives children opportunities to learn teamwork. Q. With school sports meets now on many children spend a lot of time outdoors in the sun. Can this affect them adversely? A. While too much of the sun’s warm rays can be harmful to your skin, the right balance can have many benefits. Vitamin D acquired from the sun, plays a big role in bone health. Low vitamin D levels have been linked to rickets in children and bone-wasting diseases like osteoporosis and osteomalacia. Q. Ideally, how long should children be asked to spend time doing outdoor sports activities while in school? A. The ideal time should be 30 minutes – 1 hour. Q. What outdoor activities should they focus on to help them get the best benefits? A. Always consider age-appropriate activities with children. Your child is likely to show natural preferences for certain sports or activities. Start there, keeping your child’s age, maturity and abilities in mind. For children aged 6 – 9, organized activities like running, gymnastics, swimming and tennis are good choices. Children above 10, are ready to take on complex skill sports, such as football, basketball, hockey and volleyball. Keep in mind, however, that growth spurts caused by puberty can temporarily affect a child’s coordination and balance. Before allowing your child to participate in a contact sport, consider his or her age, maturity, and physical size. Whatever sports your child participates in, ensure that he or she has a foundation of proper technique and movement. Q. What about the risk of injuries? A. All sports have a risk of injury. Generally, the more contact in a sport, the greater the risk of a traumatic injury. 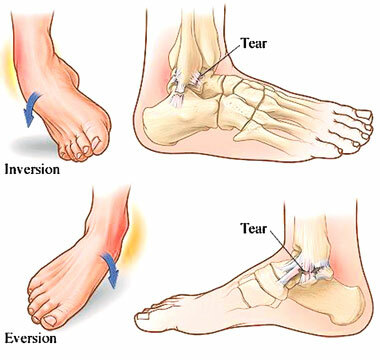 Most frequent sports injuries are sprains (injuries to ligaments) strains (injuries to muscles), and stress fractures (injury to bone) caused when an abnormal stress is placed on tendons, joints, bones and muscle. Q. As an experienced Chartered Physiotherapist tell us how you could avoid such injuries on the playground. A. The developing bodies of children are more vulnerable to injuries compared to that of adults. Fortunately, most sports injuries in children can be prevented. Some effective ways to prevent these injuries include age-specific coaching, appropriate physical conditioning, and proper use of equipment. You can also prevent injuries by encouraging children to train for their sport, rather than rely on the sport to whip them into shape. Proper physical conditioning can go a long way towards keeping players off the injured list and on top of their game. The other important strategies to prevent sports injuries are, being in proper physical condition (strength and flexibility), wearing appropriate protective gear, making warm-ups and cool-downs as part of the child’s routine before and after sports participation, staying hydrated and stopping the activity when there is pain. Q. What kind of exercises do you recommend for them? A. Exercises for children should include the three important elements – endurance, strength and flexibility. Endurance develops when kids regularly get aerobic activity (sports) which if done regularly strengthens the heart and improves the body’s ability to deliver oxygen to all its cells. Improving strength doesn’t have to mean lifting weights, they can do push-ups, crunches, pull-ups, and squats to help tone and strengthen muscles. Stretching exercises help improve flexibility, allowing muscles and joints to bend and move easily through their full range of motion. Sports specific exercises are training methods used to target muscles that are particular to a single type of activity. These exercises will take 45 – 60 minutes and can be done on a daily basis but all three elements need to be given equal importance. Q. What happens if an injured student neglects getting himself treated? A. If the management of sports injury is neglected or delayed, it can lead to adverse outcome. When muscle is injured and not treated, it can lead to scar tissue formation and the muscle can loose its flexibility, and neglected ligament and joint injury can bring about soft tissue (ligament) loosening and joint instability. This may lead to repetitive injury and eventually more serious functional loss, and force you to get out of your sport. Q. What kind of injuries need surgery? A. Surgery is often considered a last resort, and is commonly used following a serious injury or as a result of persistent symptoms. Common surgical procedures in sport include repair to damaged cartilage and ligaments in the knee (especially, cruciate ligament tears), AC shoulder injuries, dislocations and tendonitis. Surgery can usually be used to repair damaged soft tissue, align bones and re-position joints. Q. What injuries can be treated with physiotherapy and what are the latest treatment options available? A. Sports Injuries may be hard to avoid with active children, and can range from minor cuts and bruises, to more serious sprains, fractures and broken bones. Most of the sports injuries are musculoskeletal and soft tissue related which can be treated with Physiotherapy. Managing and preventing injury in children is different to that of adults. Children’s bones are still growing and the presence of the growth plate or apophysis creates a group of conditions unique to children. Laser therapy is now a popular, safe and effective method of accelerating recovery and is particularly effective for acute soft tissue related sports injuries. A. Swimming is a fantastic sport that combines all body strength, flexibility and endurance. Swimmers are unfortunately prone to overuse injuries affecting the shoulder, neck, lower back and knees. Q. How does physiotherapy help? A. Treatment involves corrective exercises and elctrotherapy but more importantly, finding the root cause of the injury and modifying stroke technique to prevent the issue from reoccurring. Q. Are home remedies an option for sports injuries? A. Yes, you can treat some of the minor sports injuries at home. Follow the acronym R.I.C.E. as a first aid. Rest the area, apply Ice, Compress it with an elastic wrap, and Elevate it. Q. Obesity in children is an emerging problem in Sri Lanka as it leads to early diabetes and other non communicable diseases. Can obesity adversely impact on children who wish to excel in the sports field? A. Obesity can cause limitations of the cardiopulmonary and the metabolic systems, resulting in exertional dyspnea (shortness of breath or difficulty in breathing), and contribute to the limitations in the functional capacity. In addition, the sedentary lifestyle often adopted by these children contributes to impaired exercise tolerance and poor sports performance. Q. What exercise do you recommend for obese children to reduce their excess fat? A. Obesity in children often is the result of a sedentary lifestyle. Exercising to reduce weight is important but need to be carefully monitored. Asking children to elevate their heart rates to a heightened aerobic exercise rate for 30 minutes or longer may be dangerous. Start with an exercise pace that resembles a brisk walk, rather than a jog. Warm up slowly for the first few minutes, let children take breaks as needed and make sure they drink water whenever they become thirsty. Obese children may develop joint or back pain if they perform repetitive, high-impact exercises like running, aerobic dancing, jumping or skipping. Low impact exercises like cycling, water jogging and aerobics are good choices. Q. Your advice to students? A. Many children ignore their injuries. Such inattention can worsen the issue over time. Children also focus harder on just one sport to become ultra-competitive. Hence many of them are pushing themselves beyond acceptable thresholds in their formative years, leading to injuries that are typically seen in professional players. When you are injured, your body is giving you a signal. Don’t ignore it; do the right thing so that you can fully heal and continue to enjoy sports. A. Exercise along with your children. It’s more fun and provides a role model for them.